I've seen and tried a lot of brushes in 33 yrs as a dental hygienist. I recommend this brush to my patients!! So glad a case is available. Hate putting my brush in a ziplock for travel. Good feel like my teeth are whiter when I use it. 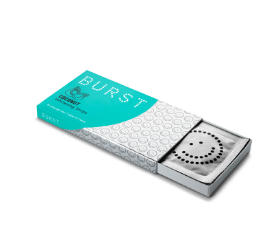 "Burst is an impressive product! "Hands down, this is the best brush I've ever used. Not only does it have the 2 minute timer and a great massaging te.. 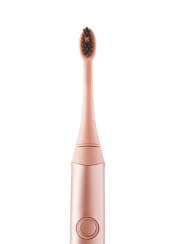 I used it for the first time this morning and I’m never going back to a normal toothbrush again!! I’m so in LOVE with Burst! I can really feel a difference before and after brushing. I love how soft the toothbrush is. Burst has helped me a lot because I usually brush too har.. 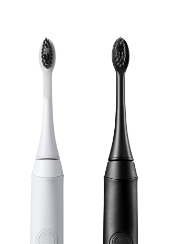 I absolutely love the look of the burst toothbrush. I went with the sleek black. I love the USB charger as well. The charcoal bristle head was very ge.. I love my new burst brush. I am a Dental Hygienist so I am super vigilant with my home care but it felt cleaner. The toothbrush bristles seemed to sne..